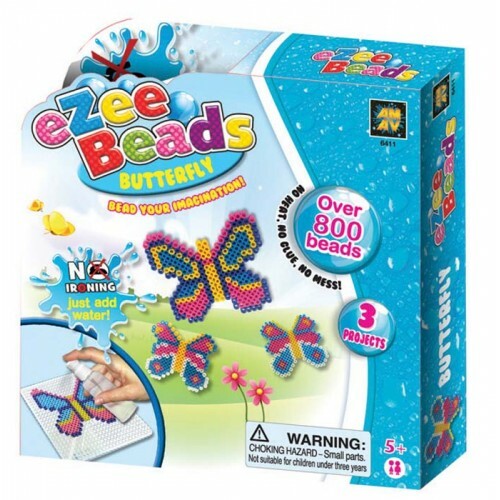 Create colourful eZee Bead shapes. Choose from 3 large designs and 800 beads! Simply spray with water & leave to dry. Remove the bead design from the tray, no iron required! Featuring pretty Butterflies.